The Law on the Protection of Trade Secrets has now been adopted by the National Assembly (Assemblée Nationale) and the Senate (Sénat) on June 14 and 21, 2018, to implementing the EU Directive 2016/493. To ensure that the law complies with the French constitution, it has been validated by the Constitutional Council (Conseil constitutionnel) on July 26, 2008. The law introduces a harmonised definition of trade secrets and a set of protective rules of a civil nature into the French Commercial Code (the "Commercial Code"), with several exceptions (Articles L. 151 – 1 to L. 154 – 1 of the Commercial Code). The French National Trademark Office (INPI) informed on its website that filing of a trademark and design can be done only electronically via the website 'www.inpi.fr' as of October 16, 2017. As of November 2, 2017, procedural exchanges, withdrawal declarations and requests for correction of material errors can only be filed online. As from May 1, 2016, the French National Trademark Office requires the submissions of trademark oppositions only via e-service. In addition, as from June 1, 2016, all subsequent exchanges (observations in reply to the opposition) and also submission of observations must be submitted exclusively via the online service of the Office. This is pursuant to the decision of the Director n°2016-69 of April 15, 2016 which can be accessed here (available in French only). This is also in accordance to urge the public to use e-services. The French National Trademark Office (INPI) increased the following official fees for some trademarks procedures since July 1, 2015. - The French TM Office (INPI) is now required to act within a period of six months from the filing of the application (filing or renewal). - In the absence of an express decision within this period of 6 months, the application (filing or renewal) shall be deemed rejected. - These provisions apply to all applications including the pending ones. With regard to the additional classes, no information have been communicated for now. However, the INPI does not exclude to increase the current amount of EUR 40 due for each additional class (no matter whether paper or electronic application). French trademark attorneys do not need to submit a PoA signed by their clients for any trademark matters. This exemption is applicable for all the regulated legal professions. In case of extension of protection related to trademark renewals, it is mandatory to get these trademarks formally reconfirmed by the local authorities before the publication date of the renewal. In some exceptional circumstances, it is possible to ask the French Polynesia TMO to postpone the reconfirmation request at a later date subject to state reasons for the same. Since 1 July 2014, the regional delegations of the French Industrial Property Institute (INPI) are not entitled to receive any filing anymore. Thus, they also do not have any authority to affix a date of filing or official reception. In consequence, any Trademark applications, renewals, recordals and oppositions shall be submitted at the headquarters of the INPI or electronically or by facsimile with confirmation letter where available. Oppositions against French trademark applications can only be filed on the basis of one trademark application or registration (French TM, CTM, International Tm covering France) or on the basis of a well-known trademark. - The name of a territorial authority (such as the name of a town; Paris or Cannes for instance) on the basis of the rule L.711-4h of the French IP Law. The draft legislation (named “Hamon Law”) is expected to be signed in February 2014 and its implementing decree is awaited for April or May 2014. - The name of an Appellation of Origin or a protected Geographical Indication (such as Champagne or Roquefort) on the basis of the rule L.711-4d of the French IP Law. An amendment from the Government has just been voted in January 2014 by the National Assembly. The French TMO is also thinking about dematerializing this administrative procedure and setting up an “e-opposition” system, which should come into force within December 31, 2016. French Polynesia adopted a local trademark regulation, with the local Law n°2013-14 dated May 6, 2013 and the Local Decree n°1002/CM dated July 22, 2013. In this new system, the former competences of the French national Office (INPI) are transferred to a local Polynesian Administration. - The recognition of currently valid French trademarks filed prior to March 3, 2004 (date of the autonomy Law of French Polynesia) is automatic in French Polynesia. - From January 1st, 2014, applicants filing new French trademark applications with INPI will have the possibility to extend the protection in French Polynesia, subject to the payment of the corresponding tax. However, there is no precision regarding the period between August 31, 2013 and January 1, 2014. - From the second semester of 2014, applicants willing to protect their trademarks in French Polynesia only (not in France) will have the possibility to file a direct application with the Polynesian Administration. There is still a grey area for the period between September 1, 2013 and December 31, 2013 as no regulation have been issued yet. After shifting certain legislative functions from mainland France to New Caledonia on July 1, 2013, New Caledonia is from now competent regarding the protection of intellectual property rights on its territory. On August 27, 2013, the government of New Caledonia adopted a draft law on the temporary protection of IP rights. The definite local IP Law applicable in New Caledonia is expected for July 1, 2014 at the latest. Until the official issuance of the local Law, French intellectual property rights, including French mainland trademarks applied for or registered by the INPI as from July 1, 2013, will also be valid in New Caledonia. There is no precision in the draft law yet as to whether Community Trademarks and International Trademarks designating France also cover New Caledonia. New Caledonia authorities are considering a partnership with the French mainland Office (INPI) for handling the legal formalities of protection of intellectual property rights on its territory. Legal basis is the Industrial Property Law of January 4, 1991 (No. 91-7) regarding trademarks and service marks and the Laws of October 29, 2007 (No. 2007-1544) and March 11, 2014 (No. 2014-315) against counterfeiting, both consolidated in the Intellectual Property Code. A French trademark also gives protection on Corsica and in the following French overseas departments: French Guyana (GF), Guadeloupe (GP), Martinique (MQ), Mayotte (YT) and Réunion (RE). It also provides protection in the French overseas collectivities: New Caledonia (NC), Saint-Barthelemy (BL) and the French part of Saint-Martin (MF), St. Pierre and Miquelon (PM), Wallis and Futuna (WF) as well as the French Southern and Antarctic Lands (TF). National French trademark registrations do not automatically extent to French Polynesia (FP). Further information in this regard as well as on the protection of European Union Trademarks in French overseas territories can be found in the publication on Dependent Territories. With France being a member of the Paris Convention for the protection of industrial property, pursuant to Article 4, priority right can be claimed. Registrable as a trademark are all distinctive and graphically representable signs, such as words, names, acronyms, letters, numbers, devices, emblems, geographical names, holograms, colours, colour combinations, dispositions of colours, the three-dimensional form of a good or its packaging and any combination of the mentioned signs. Sound marks and olfactory marks can be registered, but must be suitably described and graphically represented to be approved by the National Institute of Industrial Property (I.N.P.I). The application is filed at the National Institute of Industrial Property (INPI). Trademark applications are only possible electronically since October 2017. Foreign applicants in the EU or in the EEA do not need a local agent. A postal address within France is sufficient. Foreign applicants which are not in the EU or in the EEA need a local representative. A local representative is also needed for applications filed in the name of several applicants. A power of attorney is compulsory, except if the applicant is represented by a professional IP trademark attorney (Conseil en propriété industrielle in French) or an attorney at law. The application process includes a formal examination and an examination of distinctiveness, but no search for prior trademarks. Signs not deemed distinctive in the examination can be registered if distinctiveness has been acquired through a longstanding use at the date of filing. The processing time from first filing to registration or first office action is approx. 4 to 6 months. Trademarks are published twice in the weekly Gazette “B.O.P.I. marques”: The application is first published for third-parties opposition purposes. After registration, the trademark is also published. The opposition period is 2 months after publication of the trademark application. Oppositions need to be filed electronically through a platform accessible on the Office website. All correspondences and documents need to be filed electronically as well. A fee of Euro 325 must be paid at the time of the filing of the opposition. Extension of the opposition period and formal opposition are not possible. The opposition is deemed to be rejected if the administration does not render a decision within six months from the expiration of the opposition period. The opposition proceedings can be suspended on joint request of the parties for a three-month period. Only two suspensions can be granted (suspension of six months maximum). An opposition can not be based on multiple trademarks. The applicant may request proof of use of the opposed trademark which is subject to obligation of use. If no proof relating to at least one of the opposed goods/services is submitted, the opposition is rejected. Evidence of use for only one good or service used as base of the opposition is enough to pursue the proceedings. The INPI can only state the non-use of the opposed trademark registration, but can not cancel a trademark registration for non-use (only French Courts can make the decision to cancel a trademark registration). A trademark registration is valid for 10 years from the date of application. The registration is renewable for periods of 10 years. Electronic renewals are now possible since December 2013. The renewal period is 6 months before the renewal deadline. The renewal application can be filed during the 6 months before the last day of the anniversary month (e.g. a mark filed on July 15, 2004 can be renewed from January 31, 2014 until July 31, 2014 included). The grace period for renewals is 6 months starting from the 1st day of the month following the expiration date. If the trademark has not been used within 5 years preceding the action, it may be cancelled through a court order. The five-year period starts from the publication of the registration. Subsequent use of the trademark can restore protection if no party has requested cancellation due to non-use in the meantime. The use for similar goods/services is not considered in course of a cancellation action. Only French courts can cancel a French national trademark registration. The Directive (European Union) 2015/2436 of December 16 2015 to approximate the laws of the Member States relating to trade marks provides that the Member States shall provide for administrative procedures before the national offices for the revocation or declaration of invalidity of a trade mark, without prejudice of the existing procedures before courts. The Member States have seven years to organize the administrative procedures. The official fee for a paper trademark application of up to three classes is EUR 250 and via e-filing EUR 210. The new official fee for each additional class is EUR 42. 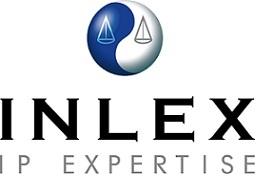 INLEX IP Expertise is an Intellectual Property law firm specialized in the validation, protection, defense and valorization of projects for the creation of trademarks, designs, copyrights and commercial and marketing concepts. Created in 1995 by Franck Soutoul and Eric Schahl, the firm employs 65 people and is now present in Europe - France (9 agencies), Monaco and Africa (3 agencies: Morocco, Cameroon & Mauritius). - Seizure procedures in infringement cases.